Sep 23 • Traveling • 766 Views • Comments Off on Which City Break Will You Choose? Over the years, millions of us have enjoyed the occasional short break in one of the world’s great cities. There are so many destinations to choose from around the globe, and it seems that any major urban centre which has a good selection of attractions and landmarks to offer visitors can earn significant amounts of revenue by catering for the tourism industry. If you’ve never been on a city break before, you may be wondering which destination you should choose. Here are five of the world’s best, so feel free to pick one of them. 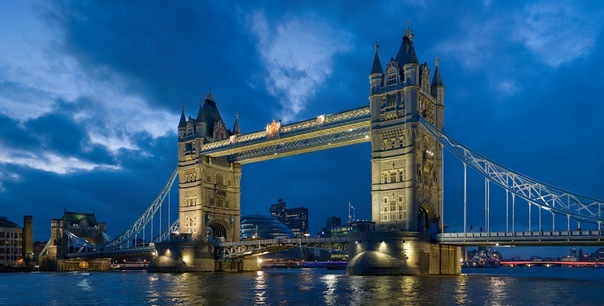 One of the most popular choices of all, London is home to a huge number of world-famous landmarks, such as the Houses of Parliament, Tower Bridge and Trafalgar Square. The city has been welcoming tourists for many decades, and it has so many things to see. The centre of the metropolis is easy to negotiate thanks to an efficient and inexpensive underground railway network. They say Paris is the most romantic city on the planet, and it has to be said that love always seems to be in the air. With landmarks such as the Arc de Triomphe, the Louvre and the Pont Neuf, a sightseeing trip can take several days, so make sure you set aside enough time to see everything. And always be sure to include the stunning Eiffel Tower on your schedule. The views across the city from the observation deck are not to be missed. Some cities offer visitors a wonderful urban experience, and Rio is undoubtedly one of them, but it can also give tourists the chance to relax on a sun-kissed beach as well. In Rio, the emphasis is on having fun, so be prepared to join in the party. The statue of Christ the Redeemer, which is located on the famous Corcovado Mountain, is well worth a visit, and if you get the chance to see the Estádio do Maracanã, Brazil’s legendary sports stadium, so much the better. Perhaps the most famous and recognisable city on the whole planet, New York is one of those places which should be on everyone’s itinerary. Spectacular, atmospheric and hauntingly beautiful, the city that never sleeps is home to a great many instantly familiar landmarks, such as the Statue of Liberty, Central Park and the Empire State Building. If you like your cities with a little hustle and bustle, this is the place for you. Australia’s largest and busiest city, Sydney welcomes tourists with a smile. There is so much to see and do here, so a few days may not be enough. It goes without saying that the Harbour Bridge and the Opera House should be on your schedule, of course, but you mustn’t miss out on Bondi Beach, The Rocks and Taronga Zoo, either. This wonderful city is an enticing mix of modern and traditional, so be sure to visit as soon as possible. David Showell lives in England and is a big fan of city breaks. He works for http://www.comparecarhire.co.uk/.